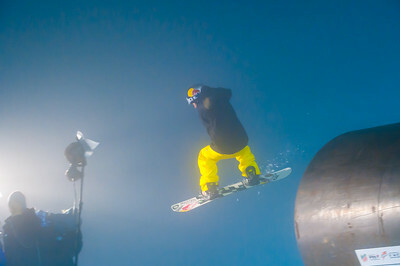 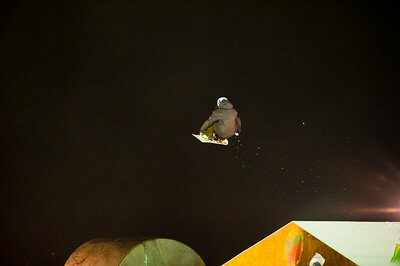 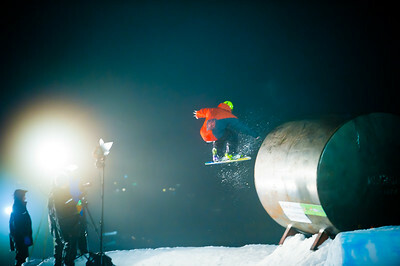 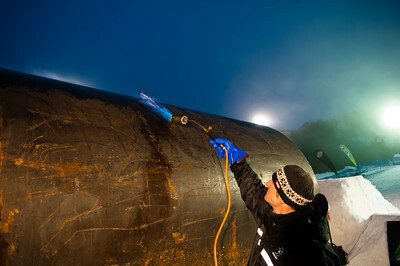 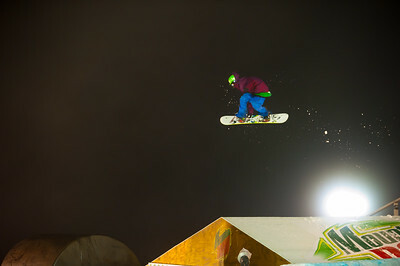 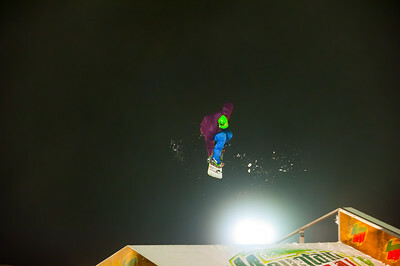 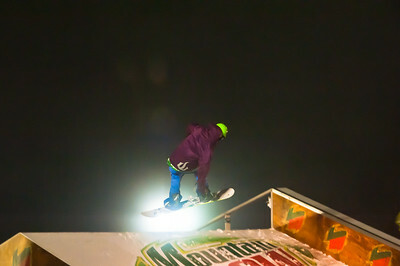 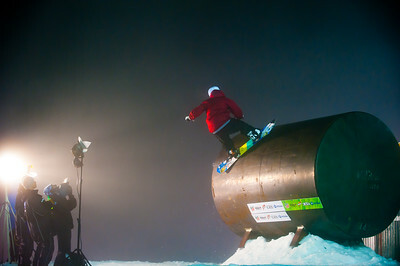 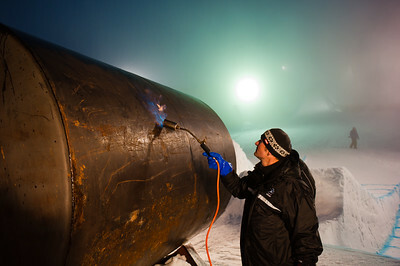 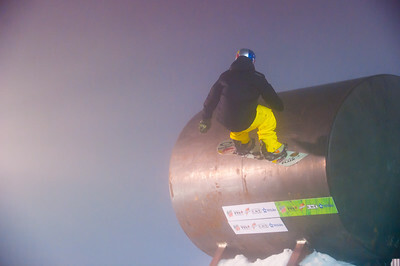 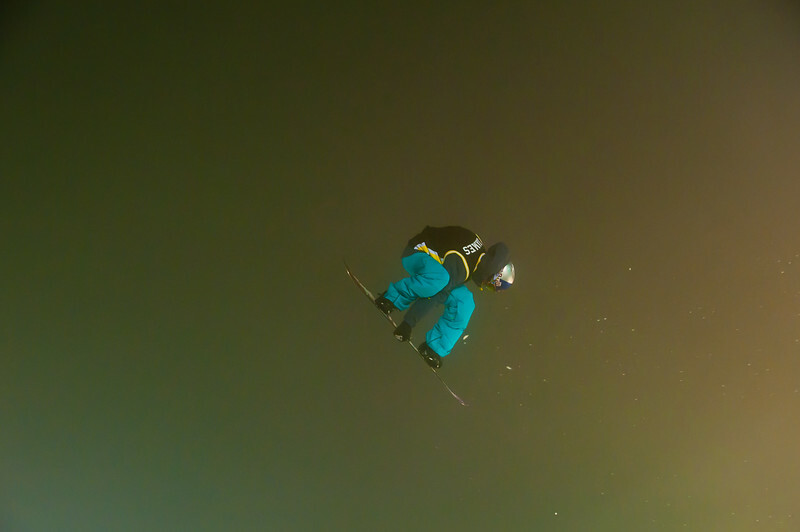 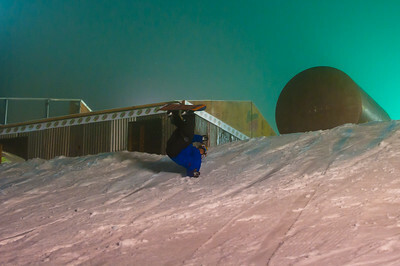 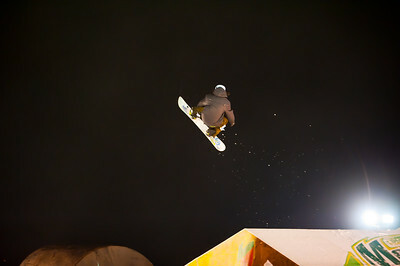 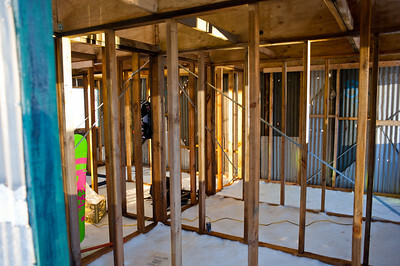 Mountain Dew's Dew Hut Jam at Mt Buller, 2010. 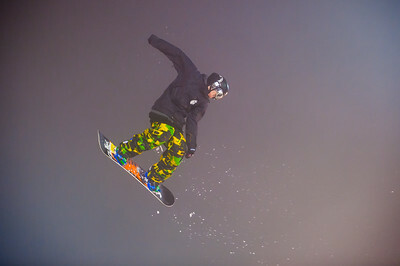 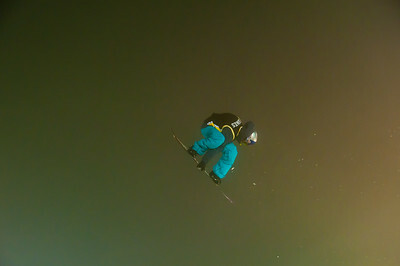 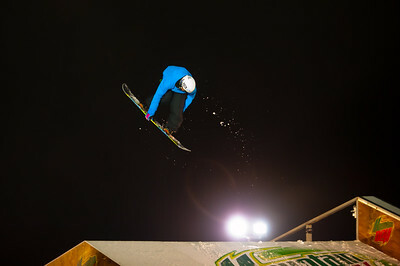 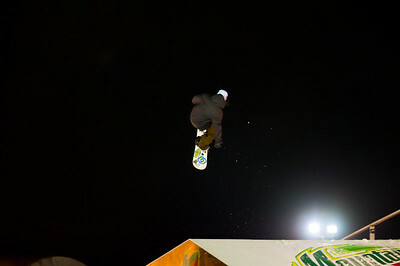 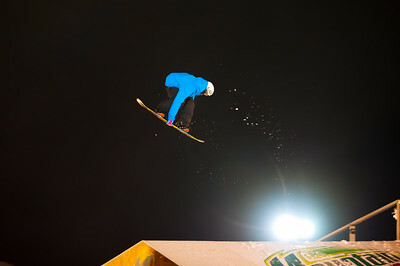 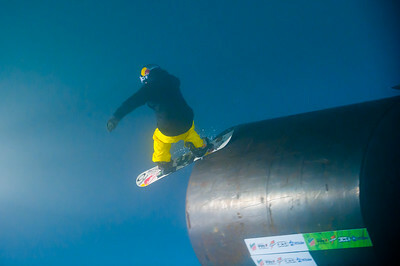 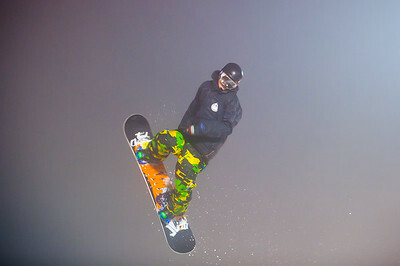 NZ's Team Oakley took out the main prize, Melbourne snowboarder Chris de Campo's won the Gatorade Rookie Award. 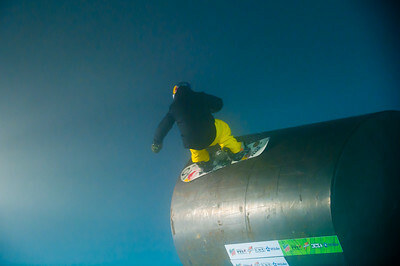 Best Team Trick went to Team Billabong, the duo of Clint Allen and Robbie Walker - the latter who performed a trick called a ‘fastplant' off his teammate's board. 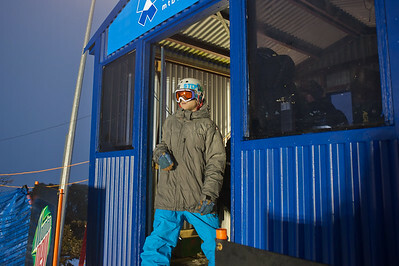 Fog covered the hut most of the evening making photography very difficult for everyone. 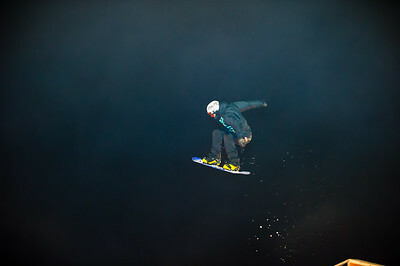 This was basically a no-flash event due to the fog. 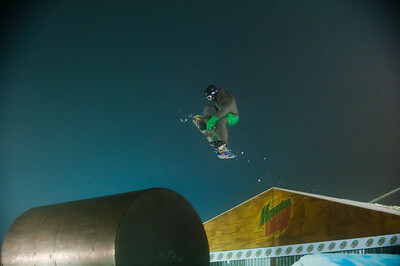 Most photos at ISO 3200 or ISO4000.